The news that Vodacom South Africa is planning to drop the M-Pesa mobile money transfer service has come as a surprise to many analysts considering the huge success it has seen in many African countries and primarily in Kenya where it originates. A report in January by the GSMA indicated that of the 33m Kenyans who owned mobile phones, 26,7m had registered mobile transfer service accounts. This is a massive figure, considering that Kenya’s population is widely thought to be around the 45m mark, according to the World Bank. The failure by Vodacom to penetrate the South African market, which has higher mobile phone penetration and perceived awareness of banking services, was “shocking” to many. Francis Wangusi, director-general of the Communications Authority of Kenya, said the historical background of the service, its origin specifically, as well as the nature of the Kenyan banking industry, were some of the reasons behind its success. “In 2007, when M-Pesa came about, financial exclusion was pervasive in Kenya, as was the proliferation of micro finance institutions and micro credit savings unions. A significant majority of Kenyans, mainly from lowly penetrated rural areas and low-income earners, were not captured by the incumbent banking institutions,” said Wangusi. He said M-Pesa simply emerged as a viable option for many Kenyans. “The requirements for opening a bank account were and still are stringent and unfavourable to low-income earners. A banking service had and probably still has little to offer to a low-income earner. “These people need to access their money in form of cash as most of their daily expenses are met in such. A debit card or standing order offers no value for a person who lives day to day based on what he earns,” he said. M-Pesa offered a more accessible “banking” option that was simple to use, less discriminative and fitted right in with the liquid requirements of many Kenyans. M-Pesa in Kenya was rolled out by Safaricom, which by customer numbers was the largest mobile service provider in East Africa’s largest economy. Safaricom had a huge market share when the service was launched. That meant access to millions of potential users. 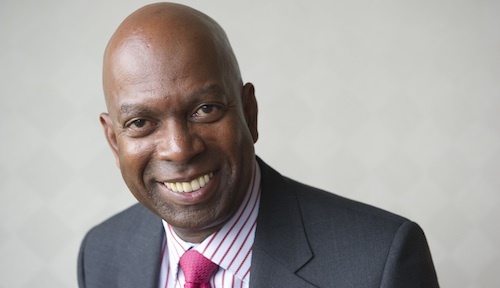 They also made an effort to study the system and convince people that their money was going to be safe, according to Safaricom CEO Bob Collymore. “The key with M-Pesa is trust. There has been a huge amount of effort put into ensuring that customers’ money is safe. They do not need to see a building with four walls with the name of a bank to trust that their money is safe. It is safe with us,” Collymore said. He said that M-Pesa fitted very well with the traditional forms of exchange of money. Transferring money through third-party systems had been culturally accepted in Kenya for a long time. Thus, M-Pesa did not cause any cultural dissonance with the users. Added to that was the fact that it was simple to operate and access. Registration was very simple and the costs were cheap. Also, unlike traditional banks, there were many access points called “agents” all over the country. All one needed was an active Safaricom number. Collymore M-Pesa continued to exceed expectations because it remained the easiest form to transact in Kenya. “M-Pesa continues to break barriers, in that it is the simplest way to do business in Kenya. As long as you have a Safaricom line you have your future in your hands. There is no lining up in banks, no need to produce affidavits and what-not. That is the main difference,” he said. Also, for a country with a growing crime rate, the fact that people could move around without actual cash in their pockets, and still have an easy time going about their lives, was an added bonus. With its sister service, M-Shwari, users were even able to save their money and take loans, all without the much dreaded waiting hours, charges, vetting and paperwork which for many is the reason they felt left out by traditional banks. It also allowed users to pay bills in supermarkets, shops, restaurants and bars as well as utilities such as water and electricity bills at the touch of a button. “For the normal Kenyan, the thought of a bank scares. The feeling is that it is a daunting process. It is a task. 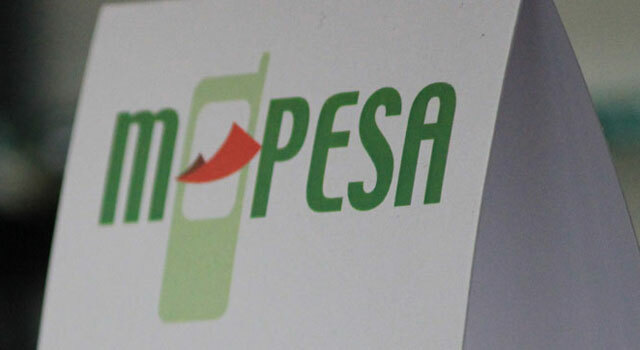 M-Pesa gets rid of that feeling,” Collymore said. The growth of M-Pesa is expected to continue, with the market expected to see no let-up in the coming years. In its 2015 financial report, Safaricom notes that the service has grown further, thanks to the popularisation of betting services in the country which depend solely on mobile money transfers to operate. “The potential is there. Our job is to make it more accessible and simpler to use. We aim to ensure that M-Pesa remains the number one financial services partner for Kenyans. The rest will follow,” he said. It won’t work in this country because of the need for any deposit taking institution to get a banking license. The fact that you need a bank behind you means you need to keep pricing up. The other failure is that it’s only on one network, and that network is Vodacom. Safaricom has a huge subscriber advantage in Kenya so they manage to run this, Vodacom has to share the market share squarely with MTN so a user has quite a high probability that the person they are trying to send money to is on another network. The other aggravating factor is that the lower lsm, which is the target market in Kenya and probably in this country, gravitates towards CellC and not Vodacom because of their aggressive pricing. In short Vodacom never had a chance with this product. The article misses out the role that then CEO Michael Joseph played. He made a huge bet on mPesa, not just on the technology but in his commitment to rolling out mPesa points across the country. This took a sustained strategic and financial commitment at a time when mobile money was not even a thing. He went all in on mPesa with an amazing result.